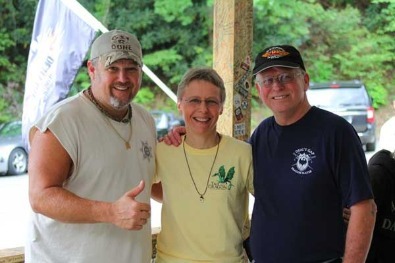 Ron & Nancy Johnson, owners and webmasters TailoftheDragon.com, Cherohala.com, Moonshiner28.com,DevilsTriangleTN.com, Diamondback226.com. For location and riding maps see TailoftheDragonMaps.com and for area accommodations and businesses see TailoftheDragonResorts.com. For Graham County and Robbinsville North Carolina area information and businesses, visit GrahamChamber.com. Since the year 2000, our company Tail of the Dragon, LLC has been promoting two lane tourism and providing area information on the twisty roads in eastern Tennessee, western North Carolina, northern Georgia, and northern South Carolina. You can also find us at the T-Shirt Shack at the intersection of US 129 and NC 28, Look for our big metal dragon "Calestar". Retail store is open seasonally from March through October, 9am to 6pm.